Hi Everyone, I hope you had a great week! Happy Veteran’s day to all who have served our country. The Ducks have had a good November so far, hopefully we can keep it going. We had another great week at HockeySC.com. The forum is also picking up as we are getting some good discussions including one on pre-game and during game supplements. First up was Mike Boyle’s Phase 2 for an NHL or a college player– This is what Mike did this past off-season with his pro and college players. It is always great to see what Mike is doing with his hockey players. I really like how these workouts flow. Next up was my TRX Lateral Line video which was shown on this blog last week. It is a progression from our off-bench oblique exercises. For us, this is going to work better in-season, as space is not adequate enough for some of the farmers walk progressions. 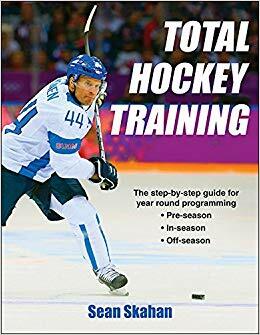 Mike Potenza’s article How Do you Customize or Individualize a Workout for a Hockey Player is an outstanding piece. This is something that I am always continually trying to do a better job with our players. Mike does a good job breaking it down to a system that makes sense. Last, but not least, is Kevin Neeld’s, Powerful Influence of Posture. Kevin does a great job talking about the importance daily posture on hockey performance. Thanks for the continued support- Sean, Mike, Mike, Anthony, and Kevin.